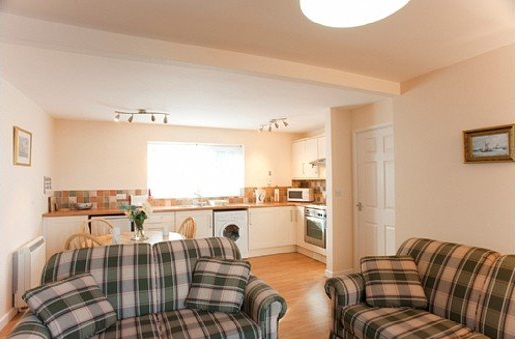 Polmaro and Pelyn are two purpose built, 1 bedroom flats situated in Freshwater Boatyard. St Mawes. The flats are fully self-contained with superb views over the Percuil River from both the living rooms and bedrooms. 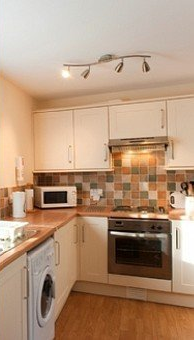 Each flat has a spacious living/dining room with fully fitted kitchen area at the rear with an upto date washer/dryer. A door opens onto a balcony overlooking the river of which is wonderful to sit and watch the world go by. There is a fully tiled shower room with electric shower, basin and toilet. An electric towel rail is installed. Polmaro, the upper flat has its own set of steps to the front door and both flats have their own entrances. It has a 5ft bed in the bedroom and also plenty of storage. Pelyn, the lower flat also has the view of the Percuil River and is identical in layout to Polmaro. Heating is supplied via night storage heaters and for that added touch of warmth there is a free standing electric heater. There is an electric water heater that serves the kitchen and bathroom basin. Electricity and water costs are included. Bed linen and shower towels are provided and there is also complimentary washing machine tablets supplied should you require them. There are also hair dryers supplied in the flats. The accommodation sleeps 2 and there is allocated parking behind the flats. Moorings are available for RIBs/speedboats/small sailing boats with shallow draft, subject to a maximum lenght of 5.5m (18.5 ft). Early booking is essential July and August. As these properties are in a working boatyard there is always something to see in the yard. At the beginning of the sailing season you will see the yachts being launched and the yard emptying and the rest of the season the trailer boats being launched and retrieved. We regret that no children under the age of 12 years can be accommodated, but it does add adventure due to the variety of boats to be seen. Both flats are non smoking and pets are not permitted.